God’s House Tower is a grade I listed building on Southampton’s seafront. In the 15th Century it was used as an artillery tower to protect the sluices beneath it that provided the flow of tidal water into the moat and ran the city’s mill. In the 1960’s it was converted into a museum which ran until 2011. 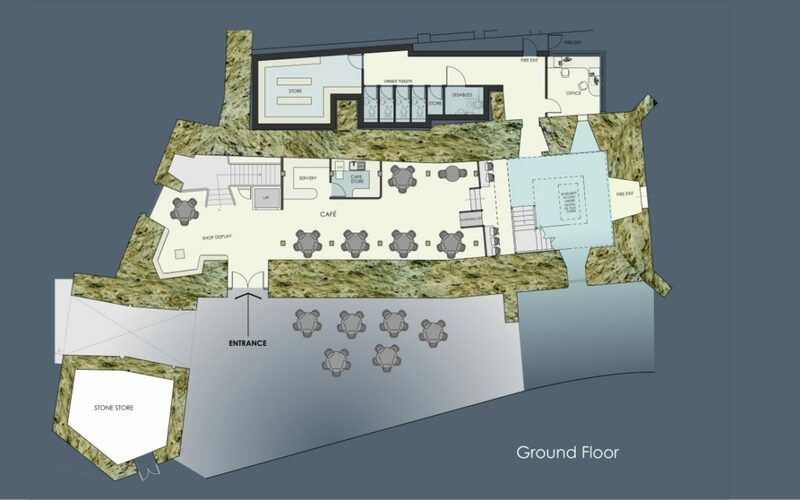 The objective -incorporating conservation techniques- is to revive the popularity of the tower by turning the ground floor space into a restaurant/shop area and creating a presentation/performance gallery on the floors above.